Regulated online casinos are secure due to third party monitoring. These can be confirmed by the accreditation displayed on their homepage from advanced gaming jurisdictions. Unfortunately, there are rogue sites which don’t have this certification and need to be avoided. Rogue sites operate free of regulatory bodies and can therefore rig their games, including blackjack, and scam you of your deposits and winnings. A blacklisted online casino is one which has been rated, several times by several different players, as poor. The bonuses, payout rates, jurisdiction licensing, encryption security, software quality, player reviews, and more are reviewed in order to determine the status of an online casino. Blacklisted online casinos have a big red mark against their name and for good reason. Ultimately, it is a good idea to steer clear of these sites unless you want your money stolen from you. The sites we include below have popped up on a number of blacklisted lists on the web – compiled by real people investigating real complaints. There are a number of online casinos which have been blacklisted due to their reputation of not paying players, being misleading, and rigging software. 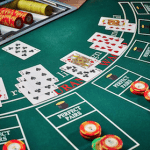 A simple Google search will allow you to determine these casinos, but we have included a few to avoid when it comes to playing blackjack online. This online casino has only recently been picked up for not paying customers, as well as offering poor service. This is most likely due to the affiliates of the online casino pulling out and therefore shining a light on their operations. This shows there are many online casinos out there which can go rogue so it is always advisable to do your research and keep up to date with player reviews. The online casino has changed their name a bit – they were once known as VIP Golden Club Casino. While they have removed the Golden from the name, they haven’t removed the problems. 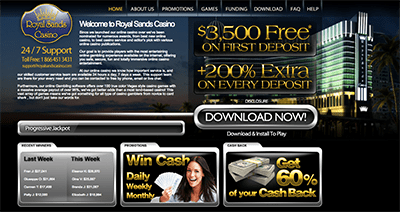 Players have reported the casino uses software which has been manipulated in their favour. The VIP blackjack game has been known to show bugs and in turn players have been unable to win at all. Additionally, the operator allegedly can bank a percentage of every player’s bet – therefore the player’s cannot win it back. 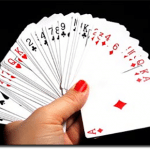 This online casino has incredibly unusual terms and conditions involving the blackjack games stating; “20. All blackjack games have maximum single cash out value of $2,500.” This is clearly a sign of an operator aiming to steal money. To back this claim up there has been countless reports on the online casino operators not paying out winnings. Since the Malta Gaming Authority has a huge reputation for being an advanced gaming jurisdiction it makes sense to use the word Malta in the name. However, players shouldn’t be fooled by this type of marketing as it has been reported the operators do not pay their players and offer terrible customer service. This can be confirmed by the lack of accreditation on the site and the absence of encryption technology, which you can determine in the browser bar. Casino Atlanta has unfortunately been found stealing casino software – specifically Novomatic and Net Entertainment games. Since the two software providers offer real money blackjack we would advise against playing here. Pirated games cannot be determined as fair – since they are stolen – and this puts you and your money at risk. This online casino was only around for a few years, but it didn’t earn a good reputation. In fact, there are a wide number of players still reporting the casino does not pay players and avoids any questions or disputes surrounding these issues. This casino was shut down, which is the best outcome for players researching web casinos to play blackjack. By doing your research you will notice a huge list of online casinos which have been blacklisted. All you have to do is a small Google search to find out if the site you are on is rogue or not. However, we have a list of sites we play at and these sites have proven time and time again to offer fair real money blackjack games. Their reputation is further proven by their regulatory bodies, including the Malta Gaming Authority, the UK Gambling Commission, Curaçao eGaming and Gibraltar, which are the top licensing agencies in the iGaming industry. To see if the site you are playing at is governed by these advanced gaming jurisdictions simply scroll to the bottom of the homepage where their logos will be displayed. If not, simply click the links of one of the online casinos listed in the table above and you can sign up to a verified site by these licensers. Only play at secure online casinos we’ve researched and determined are safe including G’day online casino where you can find a large range of real money blackjack.